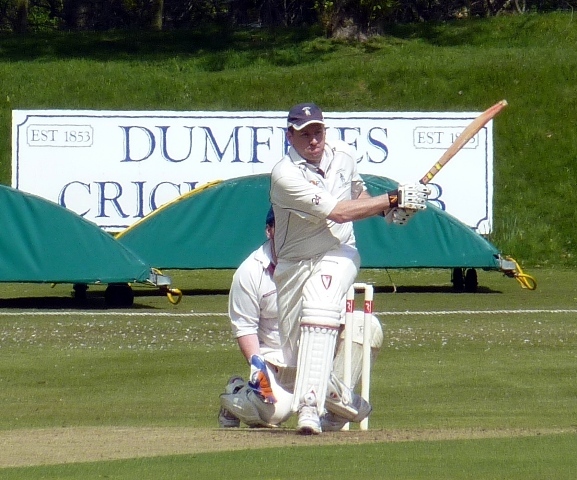 APD Dumfries started out in the new look Western Premier League on Saturday with a decisive 111 run win at Greenock. From a precarious position of 4 for 2, Dumfries rallied with a seventy run partnership between Scott Beveridge and Josh Geary. Geary had just reached his fifty when he was bowled sweeping with the total just past the hundred and it required another partnership between Joe Clarke and Pat Druce to restore fortunes again from seven down for 143. With only a handful of overs left Clarke was run out for an important 54, as was Druce for 20, and the final wicket fell on 199. Then opening bowlers Pat Druce and Alan Davidson combined dramatically to decide the run chase. Each took four wickets with Greenock unable to recover from 28 for 4. Keeper Stuart Corbett-Byers took a great catch off the Lochmaben Accounting Man of the Match Pat Druce to remove danger man Scotland’s Berrington, He then got South African pro Sekhoto lbw and Greenock were bundled out for just 88. On Saturday at Nunholm (from 12) the side face a tough test in their first home league encounter against one of the league favourites, Clydesdale. CWE Nunholm completed the double with their 101 run win over Glenpark, Greenock seconds, at Benfield Park Nunholm. The Johnstone and Clark Man of the Match, Jim Patterson, led the way with the season’s first century scoring 110 not out in the Nunholm total of 269 for 5. 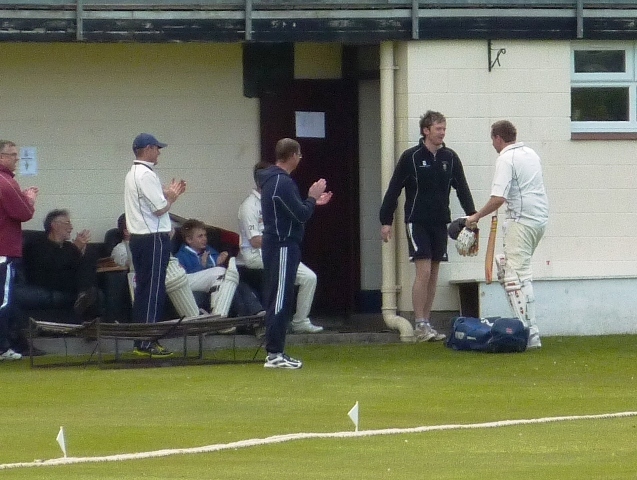 He shared a match winning fifth wicket partnership of 184 with Chris McCutcheon who was caught on 86, in the penultimate over, trying for his sixth six and a century. 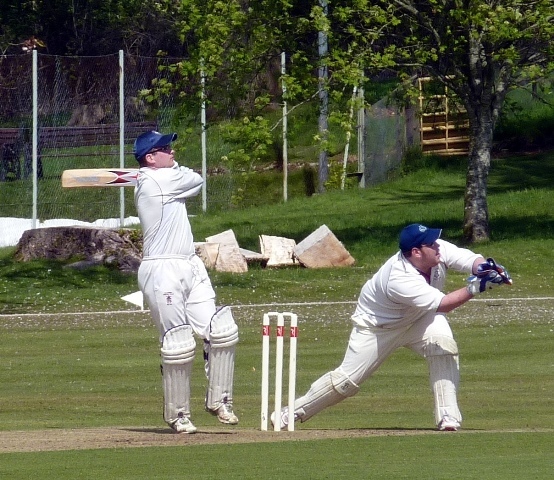 Greenock totalled 168 in reply with Patterson again to the fore with three wickets in three overs. Davidson and Kyle took two each. The Nunholm club’s junior coaching sessions run on Monday evenings from 6:15 to 8 at Dumfries Sports Club. These are also open to non-members, boys and girls. For more details on these and senior, junior and women’s cricket contact Trefor Williams (01387 256455), email dumfriescricketclub@gmail.com, or visit http://www.dumfriescricketclub.co.uk.